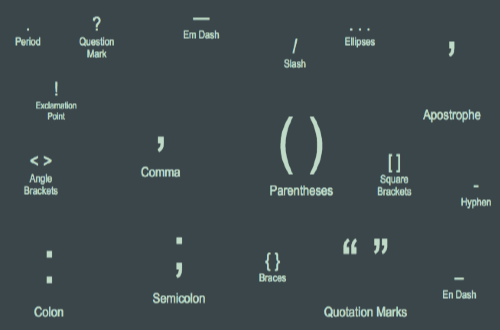 Punctuation – love it or hate it, you need to know it if you want to be taken seriously. I’m not the best but upon finding this (via LifeHacker) I feel like I can get quite a bit better. 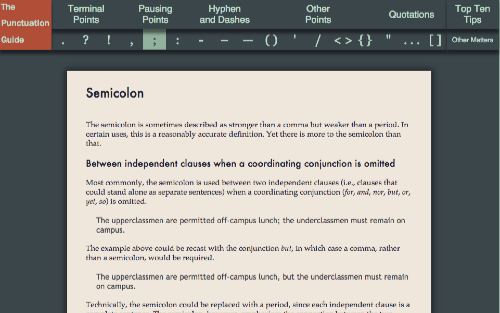 It is an interactive site that gives you explanations and examples of the punctuation so you can better decide whether to use it or not. For example the dreaded semicolon. There are no ads, it is appropriate for grade 5 and up I would guess and it is dead simple to navigate. Even, if you don’t know the name of the punctuation, they have images that you can click on from the homepage. Very clever. This entry was posted in animoto, Helpful Tips, Patrick Cauley and tagged punctuation. Bookmark the permalink.